Johnston C.P. ended the first week back by celebrating the effort of the pupils with the first Hot Chocolate Friday. 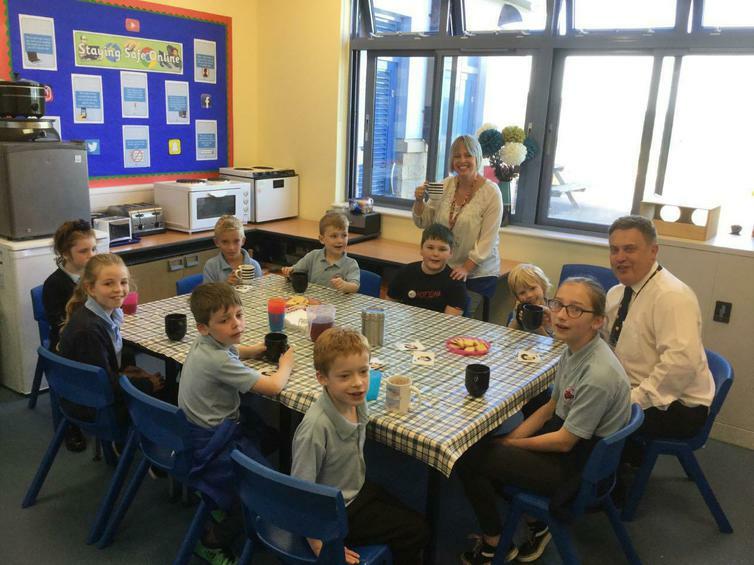 Mr. Thomas, Mrs. Wood and the children gathered in The Den to enjoy a mug of hot chocolate. Each week staff will nominate a child in each class who has really tried their best and they will be invited to join Mr. Thomas, Mrs. Wood. Well done to the first children chosen.